Fate leads those who are willing but must push those who are not. One might interpret this saying a bit too literal. After all, Elena did end up on the bottom of a hill in the middle of a forest, suffering several injuries. But do not worry, fate loves a rebel and has something magical stored for our sarcastic heroine. Time travel. An adventure in the 16th century was not something our main character had in mind, but when her path is built with music and joy, it can't be that bad, right? Oh, who am I kidding. 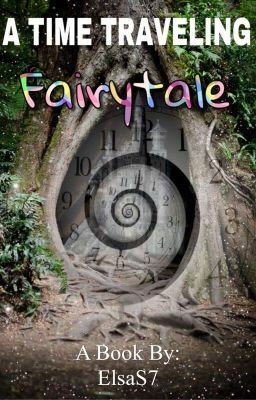 . . At first glance, it seemed to be the perfect fairytale for our main character; being able to experience the medieval time and be surrounded by enchantment wherever she went. She even meets a monk, blessed with the gift of music, who shares her passion and is willing to teach Elena the secrets of the piano. It's perfect. But it was only the tip of the iceberg. Elena's piece of tranquility is broken when she stumbles into another mess, leaving her caged and alone in the forest. Fortunately for our heroine, a prince crosses her path, helping her in her need. One might see this as the Universe's way for entertainment, or the fate's bizarre tactics to bring people together. Whatever it might be, it did not stop Elena from catching the eye of the prince of a powerful kingdom. Before anyone knows what's even happening, they're caught in the middle of it all; like a cat trapped in a yarn. After all, even the stone you trip on is a part of your destiny. What happens when the Universe, and basically everything between hell and heaven, is against you? Simple: it's a journey filled with unforgettable events. So buckle up, folks, because you are in for a ride of pirates, songs, chases, jokes, and a broken soul. After all, there is no flying from fate.